Sunset Views in Silver Sands. Savor the direct Gulf View from your own private balcony. This spacious third floor condo residence has two bedrooms PLUS a den/third bedroom/office or cozy media room. The open concept floorplan gives the Beach as your Backdrop from the kitchen through the dining and living rooms - all the way to the covered lanai. The Master Suite opens to the balcony, has a huge ensuite bath with two sinks, tiled shower, separate walk in jetted tub and generous walk in closet. 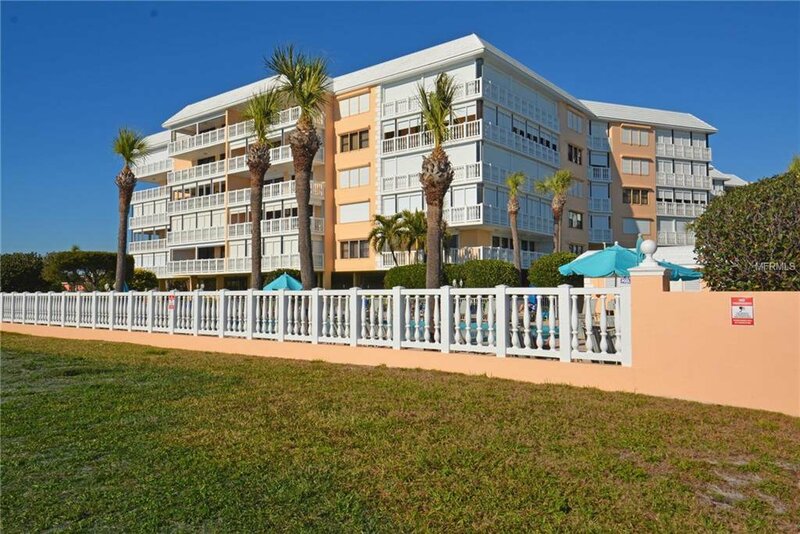 The Premier Gulf Front Condominium Community in St. Pete Beach, Silver Sands is a gated community with Clubhouse, Fitness Center, Tennis, Several Pools and even a Greenway for Pets. Walking distance to shops, restaurants and Corey Avenue Sunday Market & Festivals. This residence includes laundry in the unit, covered reserved parking and private storage. Listing courtesy of SMITH & ASSOCIATES REAL ESTATE. Selling Office: COLDWELL BANKER RESIDENTIAL.